…these Mor soaps are so cute, especially the little metal cases they come in. Great for travel or a present. Great gift idea, I hope they smell as good as they look! I believe that each one is scented very nicely! I’m in love, they are so cute! 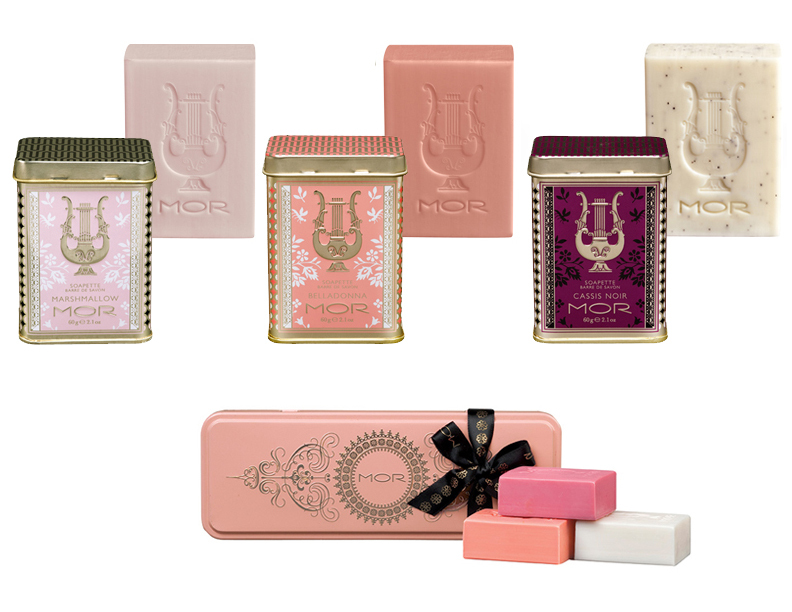 Mor packaging is divine isn’t it? I have some of their soaps and lip balms and they are gorgeous. Your blog is really pretty! Thank you for the afternoon inspiration. I have featured their products before, especially for the wonderful packaging! Your blog is very inspirational too! I am a sucker for beautiful packaging. These soap tin boxes are gorgeous! Have a great day!